We have China to thank for rescuing us from wandering the high seas listlessly: when the compass was introduced to the West, open-sea navigation became possible, as vessels no longer needed to hug the coastline to know their whereabouts. The Collectors' Compass is based of a design originally crafted for the instrument collection of King George the IV, with all the elegance that befits royalty. Hand-tooled from brass, the Collectors' Compass features gimball-rings, which help to keep the compass horizontal no matter how unstable the Compass' resting place, thereby making the face readable. This was a fantastic invention back in the days, especially for maritime sailors; these days, it bestows a genuine sense of antiquity upon the Collectors' Compass. 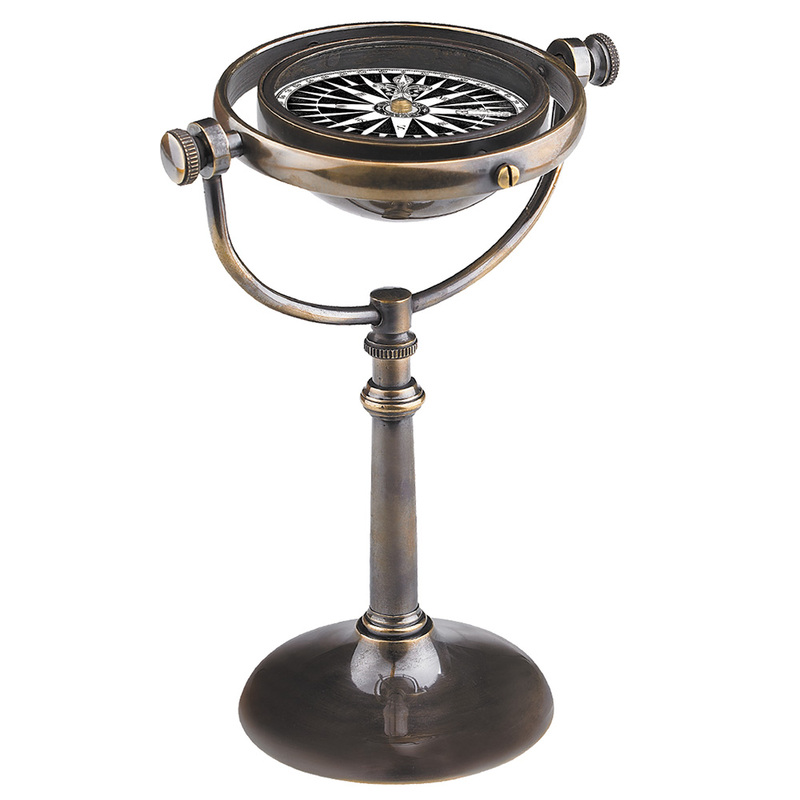 With the Collectors' Compass in your midst, you have the right to call yourself "Capt'n!" Features gimball-rings to keep the compass horizontal at all times. Design based on a compass created for King George IV. Dimensions: 20cm (h) x 13.5cm (w).